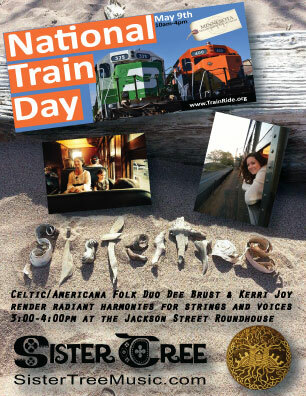 Come join us at the Jackson Street Roundhouse for National Train Day! This will be a fun-filled family day! We are performing from 3:00-4:00pm to cap off an afternoon alight with activities, artists, and the many interactive exhibits the museum has to offer.